The instance !volare! 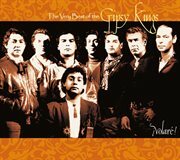 the very best of the gipsy kings, Gipsy Kings, (electronic resource) represents a material embodiment of a distinct intellectual or artistic creation found in Richland Library. This resource is a combination of several types including: Instance, Sound Recording, Electronic.